3 Ways to Maximize ENERGY and Sharpen Focus | Coyte Cooper, Ph.D.
Why Maximize ENERGY and Sharpen Focus? These are two of the most common responses I get when asking proactive people what they would like to improve in their lives. It makes sense when you think about it. Leaders in all areas of life know how important ENERGY is to performance. Simply put, it is one of the core foundations to approaching living from a charged place. Focus fits the bill here as well. There are literally so many distractions in today’s society that you must be able to cut through the clutter to get any meaningful results. The bottom line: Every proactive person on the planet wants to maximize ENERGY and sharpen focus. Yet when you talk to leaders, they all have moments every single week where both areas fall short of desired expectations. This is such a common occurrence that I dove into trying to understand why. It has made me realize that the reason is pretty simple. Most people have simply not prioritized ENERGY and focus in their lives. How can we create a meaningful shift here? 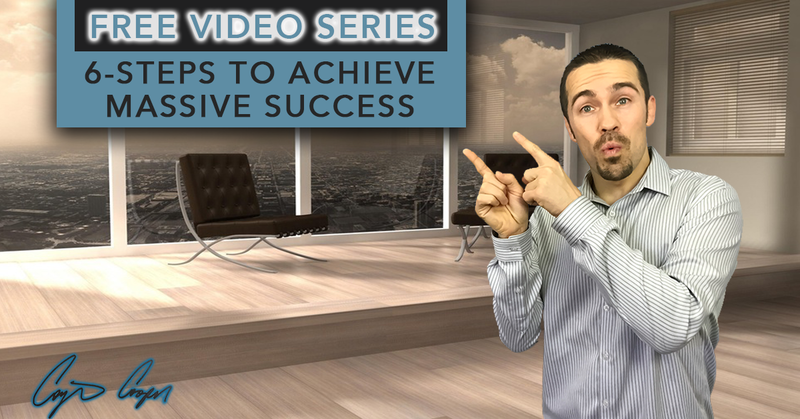 Well, it turns out that there are two simple steps you can take in your life to make this happen at a HIGH level (outlined in video and below). This is the single most impactful way to maximize your ENERGY levels. All you have to do to make this happen is to create a growth system that kicks off your day. Just pick up a book that inspires you and get in the habit of reading for 30-minutes each morning. Other options include meditation, exercise, and/or gratitude exercises. If you are struggling with focus, it is likely because your brain has too many options to consider. The way to change this is by sitting down and identifying the top 3 priorities (e.g., family, career, fitness) in your life. For each of these areas, identify one single goal you are PASSIONATE about and write it down every single day. Allow these goals to guide all of your decisions on a daily basis. The way to maximize ENERGY level and sharpen focus in your life is by prioritizing it. 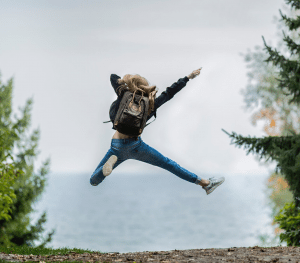 The moment that you establish the right habits, both of these areas will EXPLODE and you will radically increase your results and quality of life. It is worth the investment. 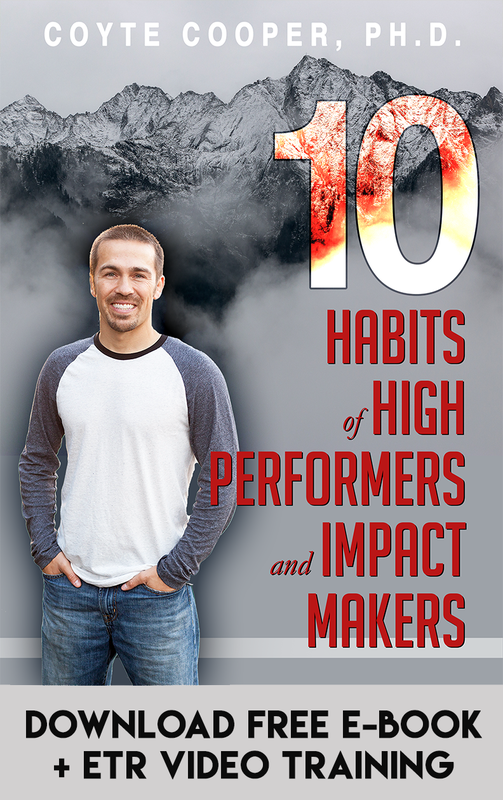 If you are looking for additional resources to maximize ENERGY and focus, sign-up to receive my new 10 Habits of High Performers and Difference Makers e-book. 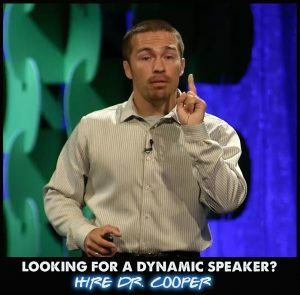 Thought leader and High Performance specialist Dr. Coyte Cooper is on a mission to empower leaders, business professionals, students, and organizations around the world to perform to their highest potential. 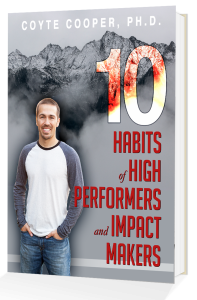 He is passionate about creating transformational systems to help people get MASSIVE results in their lives.